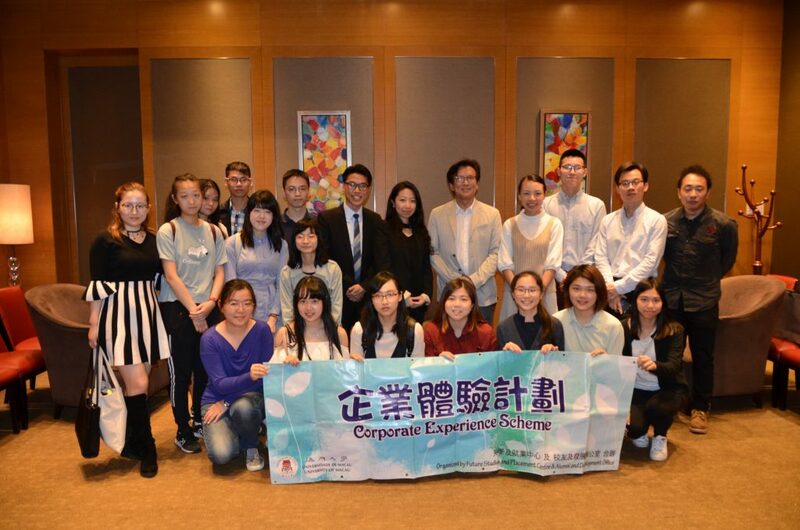 In order to enrich students’ knowledge of development, work environment and market trend of different industries, the University of Macau Alumni and Development (ADO) & Career Development Center of Student Affairs Office (CDC) organized the “Corporate Experience Scheme- Chat Hour”. Students will meet and interact with alumni professionals as well as visiting the corporations they are working. 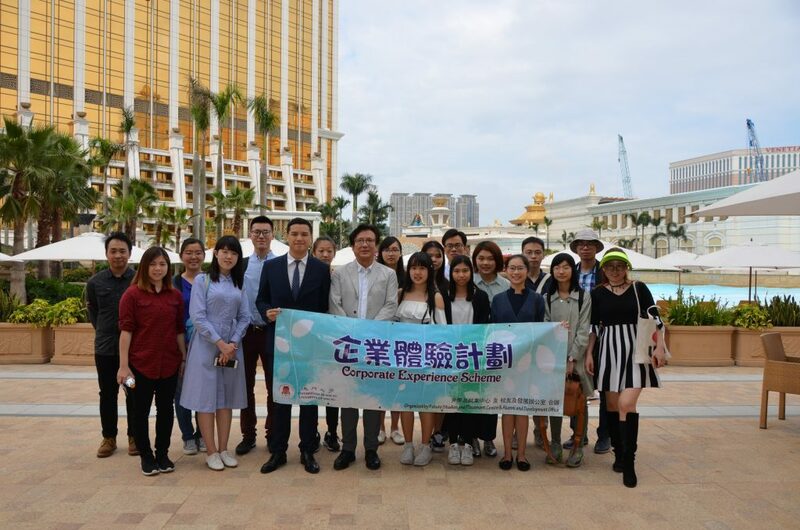 The departments have recently invited approximately 20 students to visit Galaxy Macau™ . Participants included scholarship recipients of the Galaxy Entertainment Group Scholarship and students from different colleges and faculties. 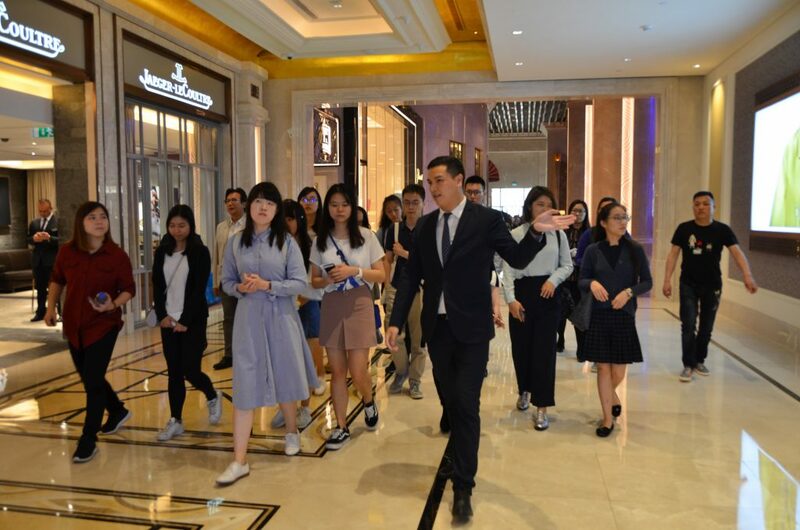 With the warm reception from the delegation of Galaxy Entertainment Group (GEG), students were given an introduction on the background and business scope of the property. 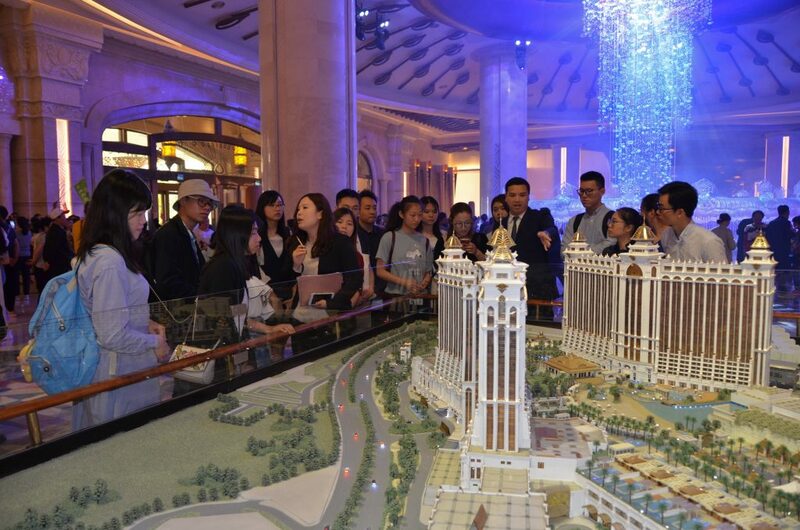 A tour to the hotel suites and leisure faculties was arranged. 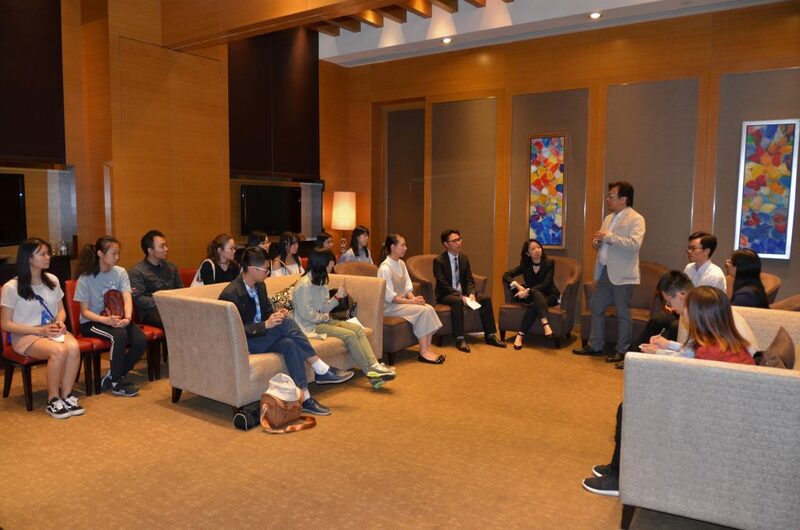 After the tour, three alumni working in managerial level were invited to the sharing session. They are Ms. Catherine Iu, Assistant Vice President, Corporate and Community Relations of Public Relations (Class of 2001, B.A. 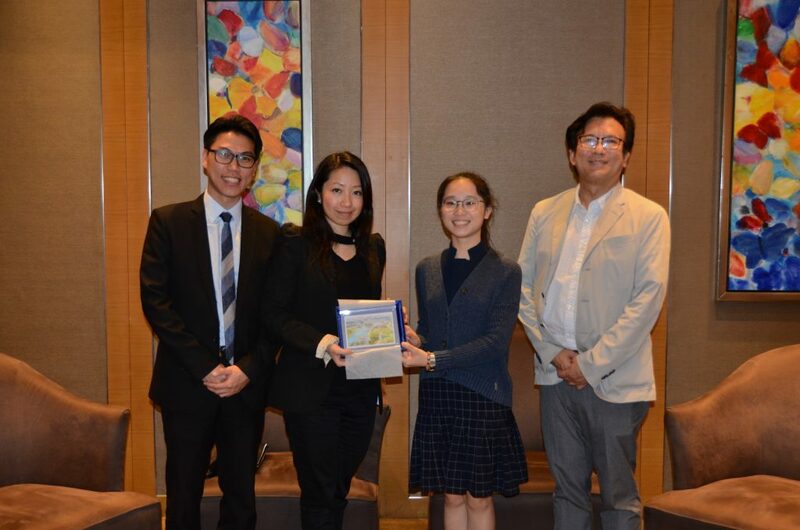 in English Studies), Mr. Matthew Kuan(Class of 2013, MBA), Assistant Vice President, Electronic Games Analysis, Gaming Development & Optimization Services and Ms. Carmen Lou (Class of 2015, MBA), Senior Manager, Organization Development & Training , to share tips on career choices and working experience. 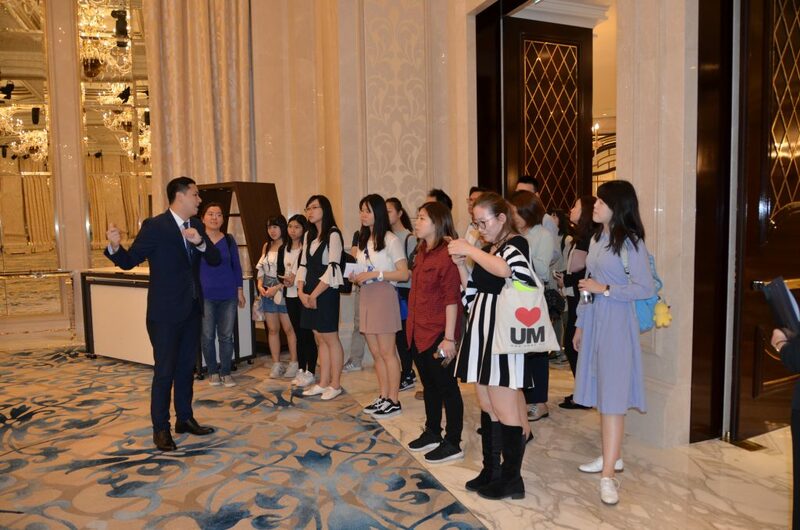 During “Chat Hour” sharing session, alumna Iu shared the story of how to go into managerial level after graduation and she encouraged students to grasp every opportunity to learn: Chance favors the prepared mind. 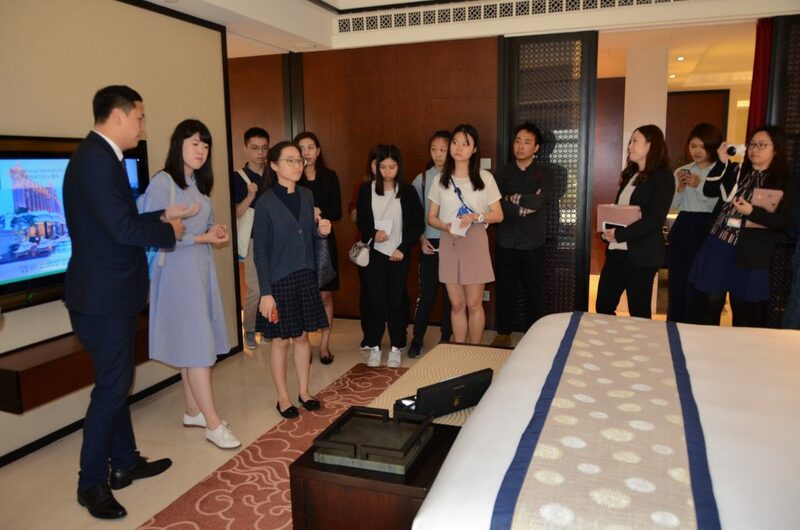 Alumnus Kuan shared the tips on how to improve their soft and hard skill in college which can help being well-equipped and broaden their horizons. Alumna Lou encourage students to be open minded and try to take in new things which can help them to explore their potential. 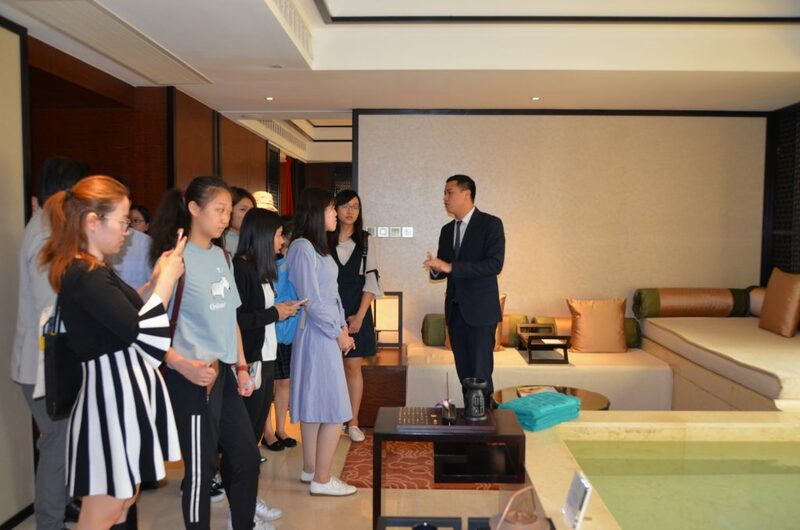 Representative of the scholarship recipients took the opportunity to present a souvenir to the delegations from GEG at the end of the visit, as an appreciation to their generous contribution made by GEG. 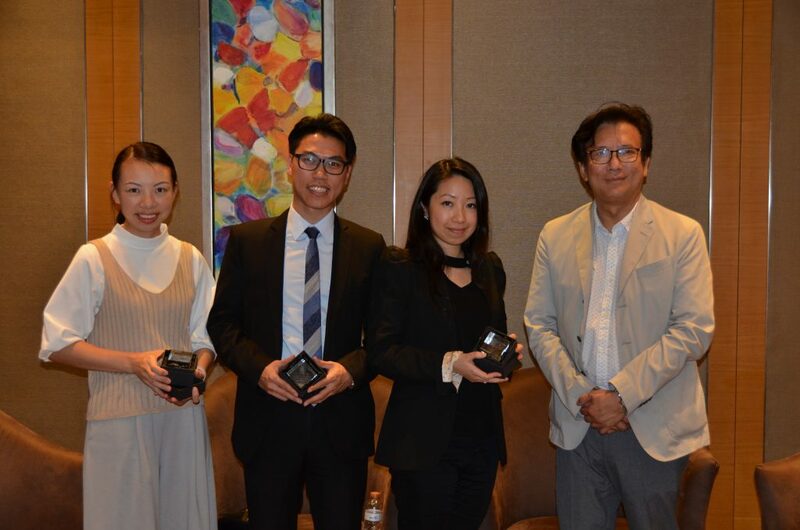 Director of ADO, Mr. Peng Chun Vong also presented souvenirs to three alumni, as an appreciation to their supports to the activity.